2018 FALL LEAGUE BEGINS ON SEPTEMBER 16th! 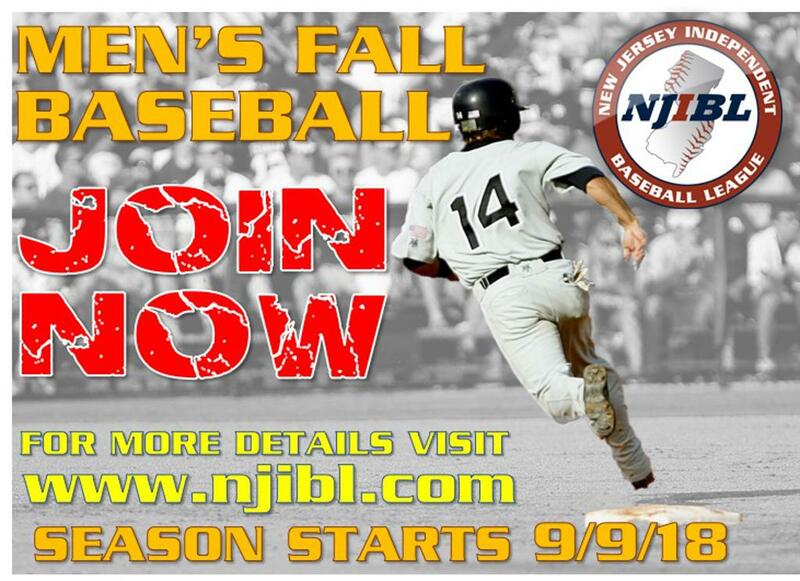 The 10th season of the NJIBL Fall Baseball season begins on Sunday September 16th. This season has 17 teams competing for the championship. The teams will be divided into two divisions, the NJIBL North and NJIBL South. The regular season will end on November 4th with the top 4 teams in each division making the playoffs. Playoffs last 2 weeks and will consist of single elimination games. There will be 2 separate championships, one for the North and one for the South. Free agents will be assigned to teams on Sunday September 9th. Umpire assignors will receive their field assignments. The Fall League page will be accessible this week. Managers please send a list to the league of your rosters at garyshearsnjibl@gmail.com by Friday September 14th. An email with rules and procedures will be sent to the managers this week.